In the news lately there has been a lot of talk about genetically engineered fish. 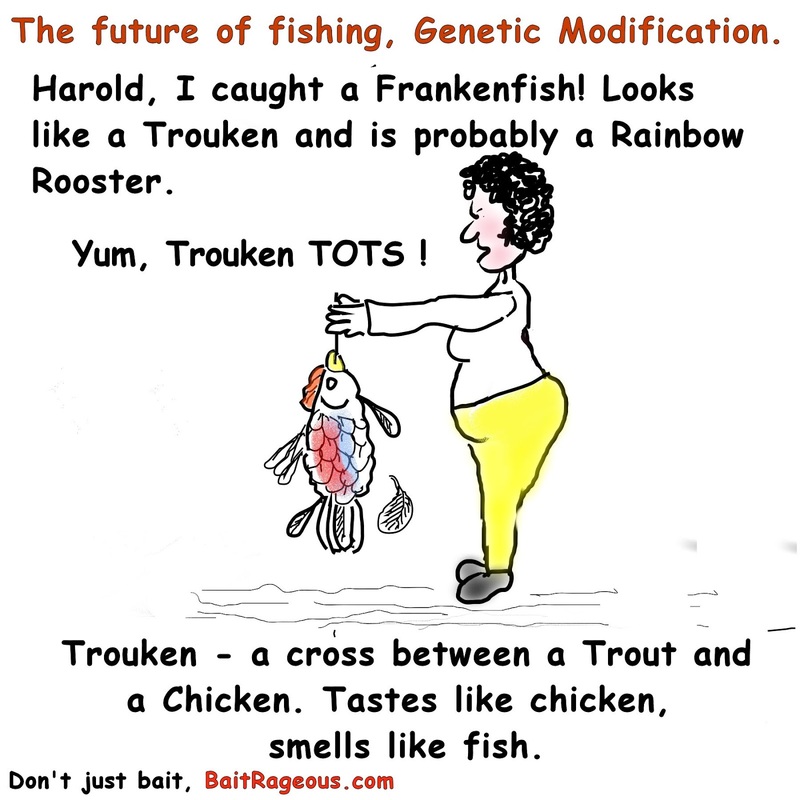 Soooo..., I couldn't help but do a cartoon about Frankenfish and Trouken tots! 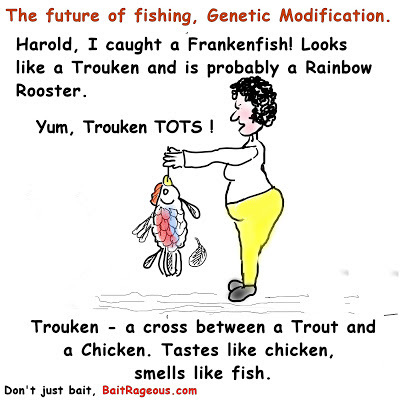 Think about the possibilities from a Trouken Rainbow Rooster, to a very BIG Trouelk (elk trout). Dang, what have I been drinking. Hope you enjoyed and remember, Life is short, get away from the big screen and get on a big stream.